coaching, and kids. McMullen was a former left handed pitcher drafted in the 26th round by the Atlanta Braves in the 1995 draft. He spent the next 6 years playing professional baseball for the Braves and the Boston Red Sox. In spring of 2000, the Red Sox AA division released McMullen. That same season he signed with the Somerset Patriots, part of the Atlantic League. When the season ended, Jerry went on to have Tommy John surgery on his pitching arm. In 2001, he was called to pitch for the Kansas City Royals during Spring Training. Unfortunately, due to complications with surgery, McMullen retired in 2001. Jerry attended Chemeketa Community College from 1992-1994. In 1994, CCC won their first NWACC Baseball Tournament where McMullen was named MVP. In 1995, he was attending Portland State University when he was drafted. After his professional baseball career ended in 2001, he graduated from George Fox University with a Bachelors Degree in Business. 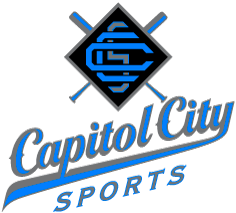 Private Hitting, Pitching and Fielding Lessons. 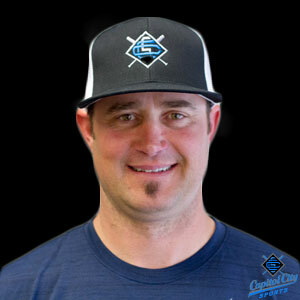 Jerry offers one on one or group private hitting, pitching and fielding instruction. Zepp Analysis – See your swing in 3d. Bat speed, hand speed, time to impact, attack angle, vertical angle and see how you compare to your age group and Major League Players.